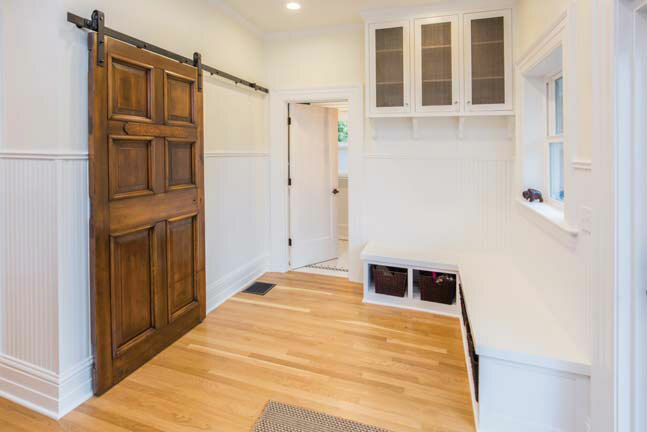 Resources, information and data links for custom millwork choices. 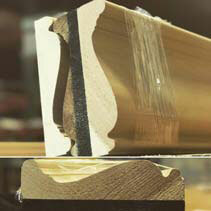 All of our custom profiles are run to order in the wood species of your choice. Use the PDF catalog links below to narrow your search or use the search bar to find profiles based on millwork type. Red Oak, White Oak, Maple, Clear Alder, Cherry, Knotty Alder, Poplar, Vertical Grain Fir, Mixed Grain Fir, Hemlock, Hickory, Jatoba (Brazilian Cherry), Walnut, Sapelle (Mahogany), Redwood. Vertical Grain Fir, Mixed Grain Fir, Sapelle (Mahogany), Redwood & Cedar. These are readily available species; if you are looking for exotic or specialty sawn choices please contact us here. MSD’s – All of our products are milled from raw lumber. MSD’s provided for products requiring lamination. Picture Rail 1014 - This picture rail was run to match the existing moulding for the renovation of a 1900 home in NW Portland, Oregon. This picture rail is quite unique, the edge just under the rounded top creates a lovely shadow line. Lintel 909 - A nice choice for topping your windows and doors, this lintel is the reverse of most standard lintels. The curve is Cyma Reversa (the opposite of the more common Cyma Recta) topped off by a cove. Coves are most often seen at the bottom of the lintel. Casing 187 - This casing, and it's matching 286 base, came from a 1925 Cape Cod in NE Portland Oregon. The casing is set on top of plain, square plinth blocks and mitered at the top of the doors. Windows are mitered all the way around for a ‘picture frame' look.